It would be difficult to make it simpler, cuter, or softer. Its long ears and long legs are perfect for baby's little hands. 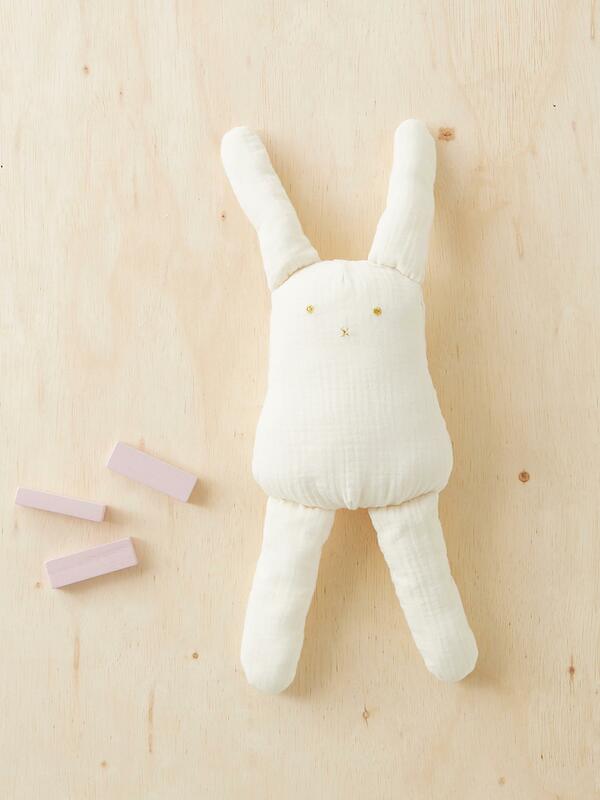 The rabbit plush toy makes a beautiful gift idea. Length, 50cm approx. Golden face embroidery. 100% double cotton gauze. Padding, 100% polyester. Easily recognisable with its waffled textured, double gauze is a natural, lightweight, and breezy fabric. A soft toy is a must have for baby! It's also a perfect gift idea for the newborn along with plush animals, toys or rag dolls in the Cyrillus collection.